Around my neck of the woods, seeing acres upon acres of neatly lined rows of tall stalks of corn is not a unique thing. I thought it would be wonderful to recreate those quintessential scenes of fall onto this month’s Stitchology square. 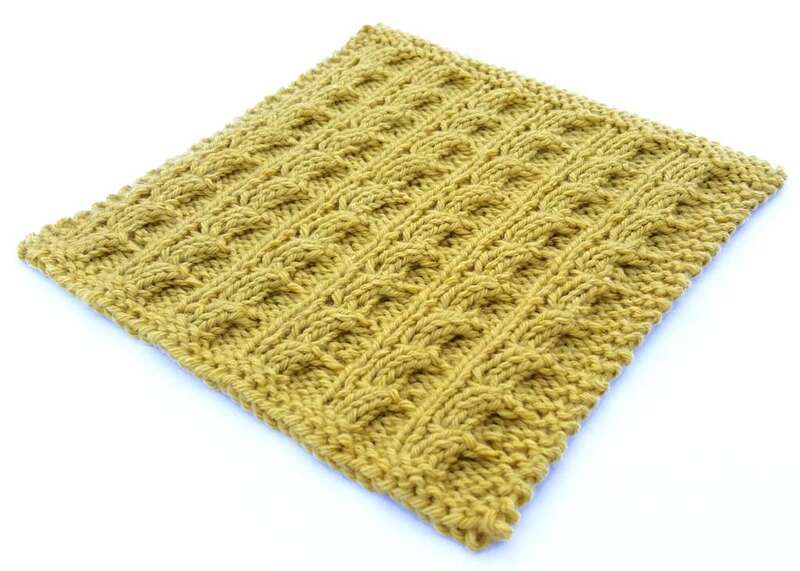 Utilizing a combination of cables and ribbing, this stitch is full of texture as well as stretch, and the resulting fabric is almost identical from the front to the back! Lift the loops from the first 2 pegs of the cable (1 & 2) and place them on the cable needle. 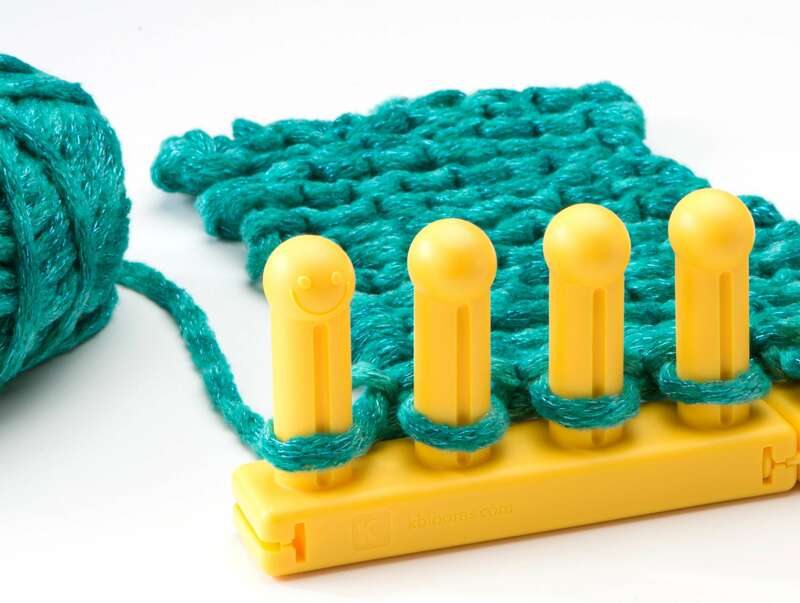 Bring your working yarn behind pegs 1 & 2 and purl the stitch on peg 3. Move this stitch (peg 3) over to peg 1 of the cable pegs. 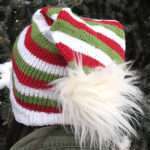 Pull out any slack in the yarn. 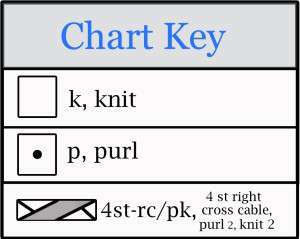 Bring your working yarn behind pegs 2 & 3 and purl the stitch on peg 4. Move this stitch (peg 4) over to peg 2 of the cable pegs. 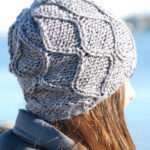 Pull out any slack in the yarn. Lift the first stitch from the cable needle that was previously on peg 1 and move it to peg 3. 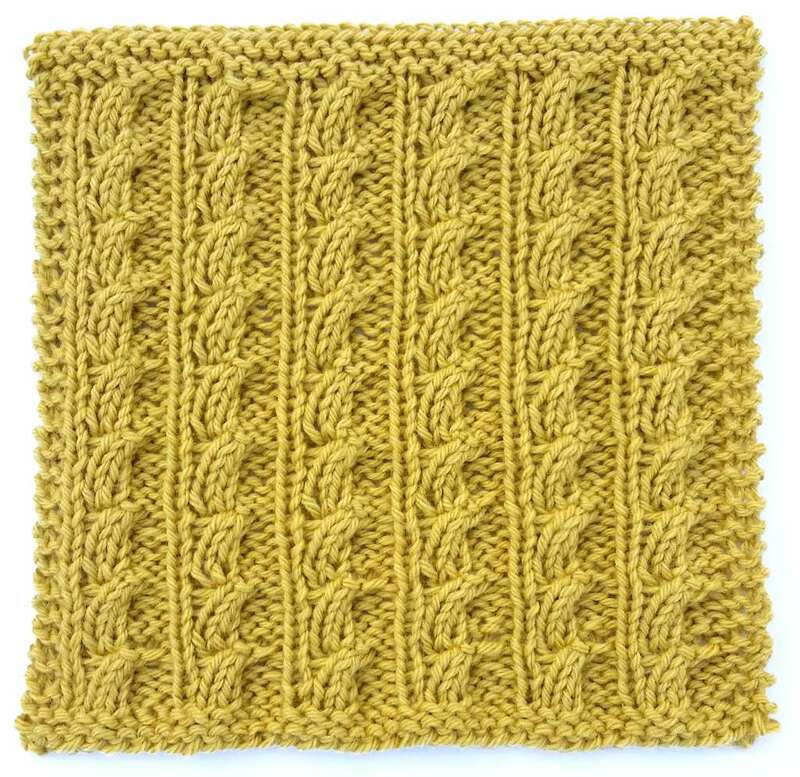 Knit this stitch. Lift the second stitch from the cable needle that was previously on peg 2 and move it to peg 4. 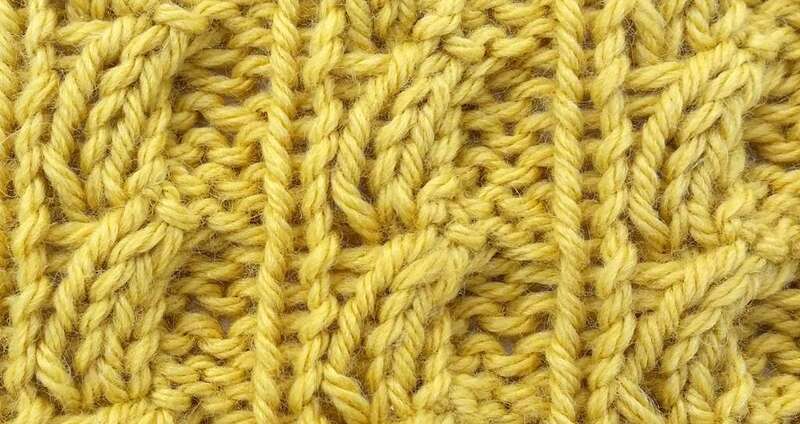 Knit this stitch. 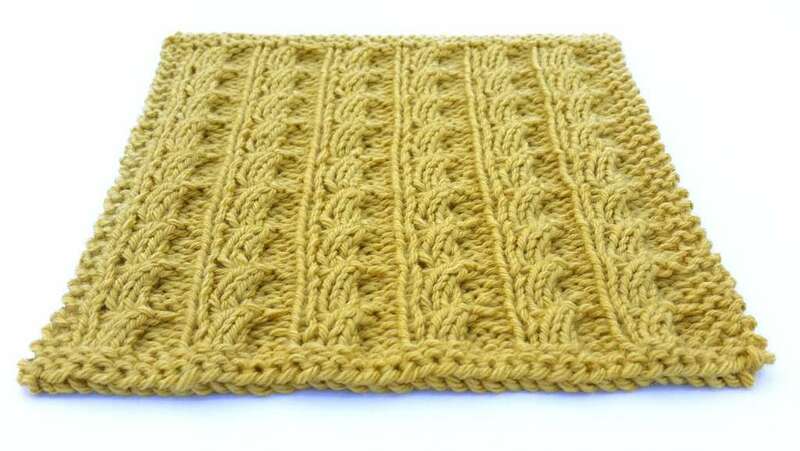 Pull out any slack that may be left in the 4 cable stitches. Row 5: p1, 4st-rc/pk, k1. a: k2, *p3, k3, repeat from * to last 2 sts, k2. b: p2, *k3, p3, repeat from * to last 2 sts, p2. 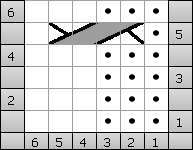 Row 9: p2, *p1, 4st-rc/pk, k1, repeat from * to last 2 sts, p2. 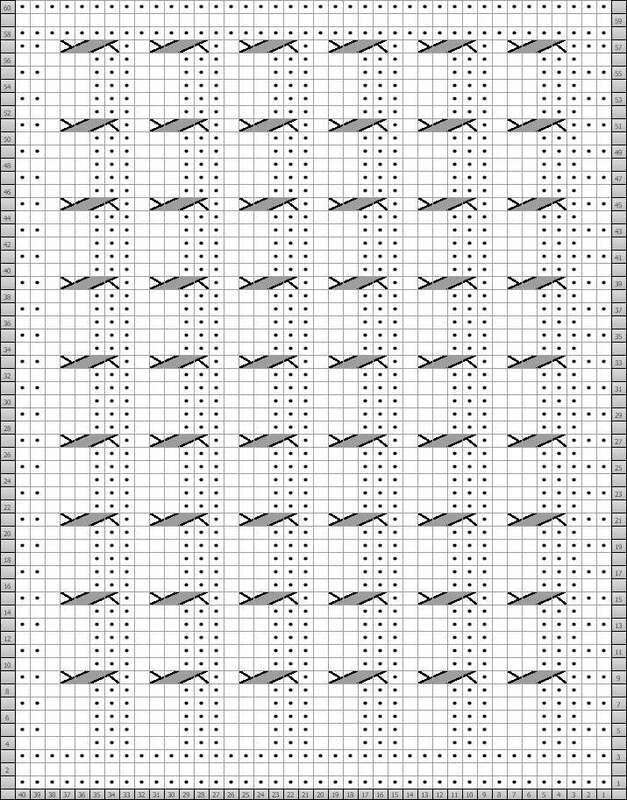 Rows 10-57: Repeat Rows 4-9. I just wanted to let you know your new stitch is simply beautiful. would love video tutorial very visual learner THANK YOU.